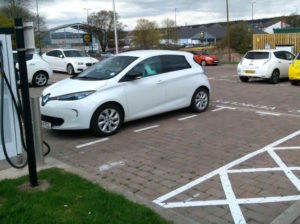 Fraser Crichton, transport officer at Dundee City Council, said early usage of the units had been high. “The rapid chargers have been in use at Aimer Square since the beginning of April and have already been used over 700 times in the 10 days since opening, including over 100 different users. There are currently 94 pure electric taxis in use in Dundee and we hope to see more drivers make the transition,” he commented.